While I was pregnant everyone and their mother gave me (and the husband) advice about everything baby-related. I don’t miss that part of pregnancy! The husband and I discussed and understood that in most (if not all) cases, the advice was not given so much to benefit us as it was to gratify the giver. So we let the words run in one ear and out the other with a smile. We asked for advice from trusted folks–like my doctors, a few close friends, and reputable websites and books. The clerk at the local grocery store? Not so much. So I’m about to give advice, right? Sorta. I have learned that (for me), eating healthy foods is harder now than it was before. Certainly adding the demands of caring for a newborn gets in the way of cooking homemade, delicious, and nutritious meals like I could way back when. (See the first year’s worth of this blog for evidence this used to happen!) So our family has adjusted. The husband cooks more now, which is awesome! And I have started looking for recipes that use ingredients we have on hand and that make easy leftovers to eat for several days of lunch. This recipe fits the bill perfectly. I didn’t have to go to the store for a single ingredient. It kept wonderfully in the fridge for 3 or 4 days (after which it was gone). The recipe is pretty loaded with protein, too, especially for a vegan dish. I initially found this recipe on Pinterest and added it to my Recipes I Want to Try board. I’m proud to say it can officially get moved to my Delicious Food I Have Made and Loved board. 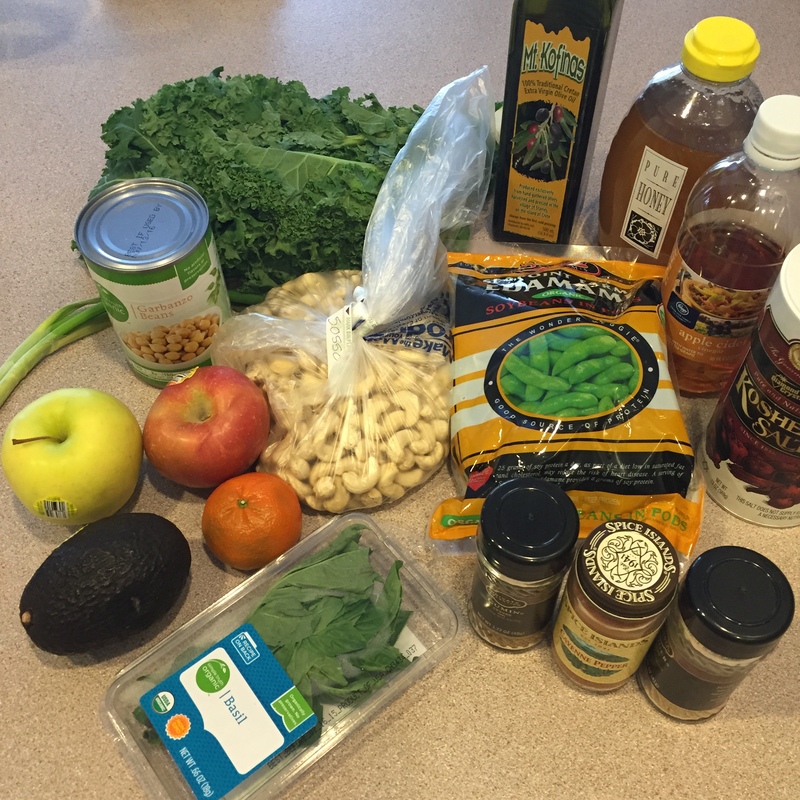 I took some liberties with some substitutions based on what I had and the condition of my produce. Turned out my avocado was mostly black on the inside, so I added some mayonnaise. My limes had turned rock hard so I juiced a clementine instead. I had just run out of maple syrup so I used honey. It was still awesome. 1. Cook your edamame according to package instructions and allow to cool. Shell the edamame if necessary. 2. Prepare the dressing by scooping the avocado (and supplementing with mayonnaise or Greek yogurt if needed). Dice the green onions and juice your citrus. 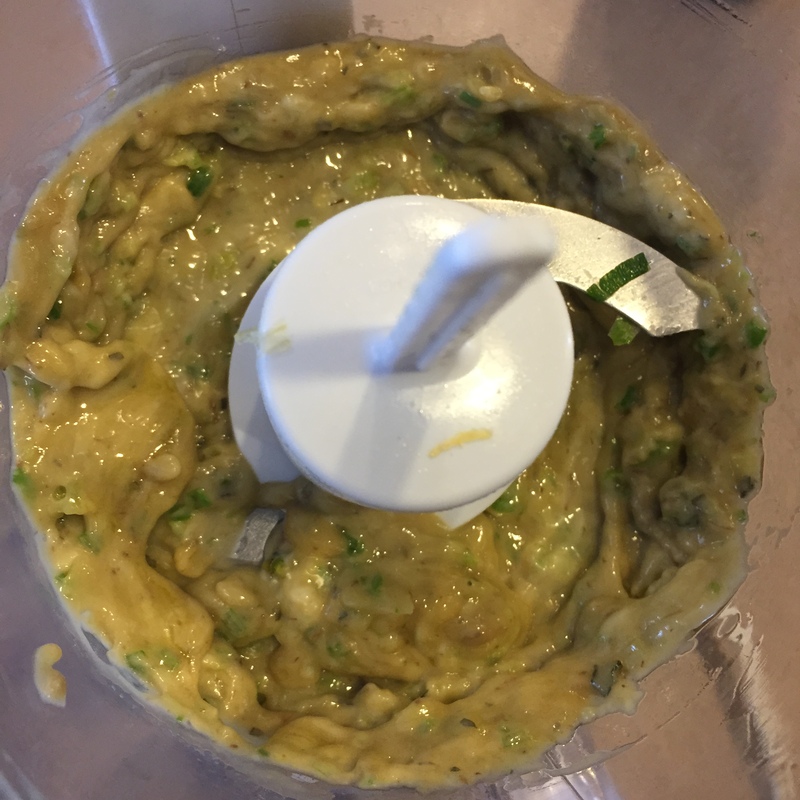 Then combine all dressing ingredients in a mini food processor or blender. Blend or process until smooth and then set aside. 3. Heat a cast iron skillet on high heat. Toast the chickpeas until they start to turn brown, or about 5-8 minutes. Stir frequently to promote even color. Add the olive oil, stir to coat, and then add the spices and stir to coat again. Reduce heat to medium high and add the cashews. Remove from heat after about 5 minutes, or when the cashews begin to turn brown. 4. Rinse the kale and remove the hard center stem. Finely dice the kale. Dice the apples. 5. 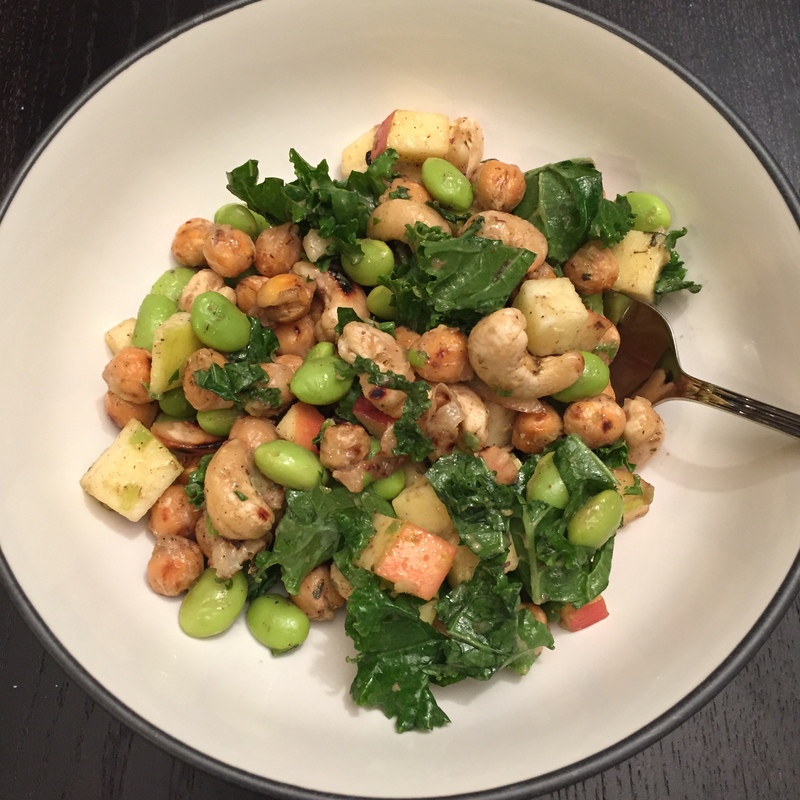 In a medium bowl, combine the apples, kale, and chickpea/cashew mixture. Add the dressing and stir to coat. Taste, and then season with salt and pepper. Previous Post Previous post: To garden or not to garden?